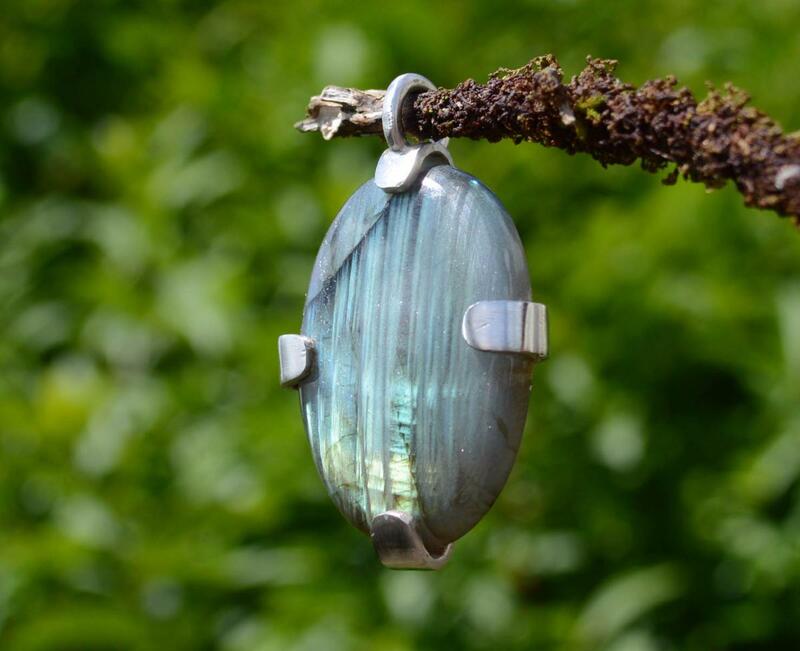 A 40 x 27mm beautifully iridescent blue flash labradorite. 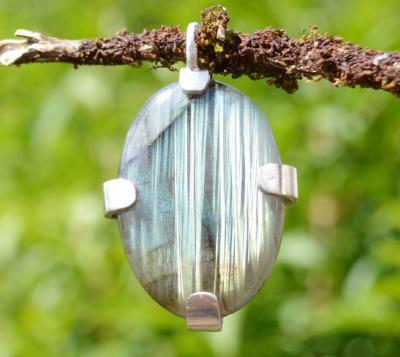 Labradorite strengthens and protects the aura. 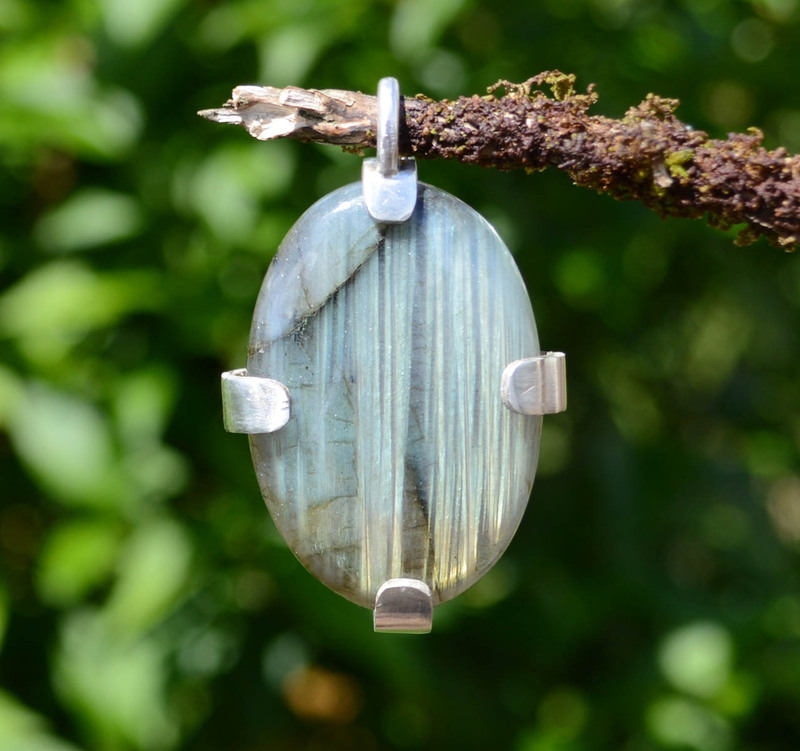 "Labradorite promotes the synthesis of intellectual thought with the intuitive, mystic and psychic wisdom." 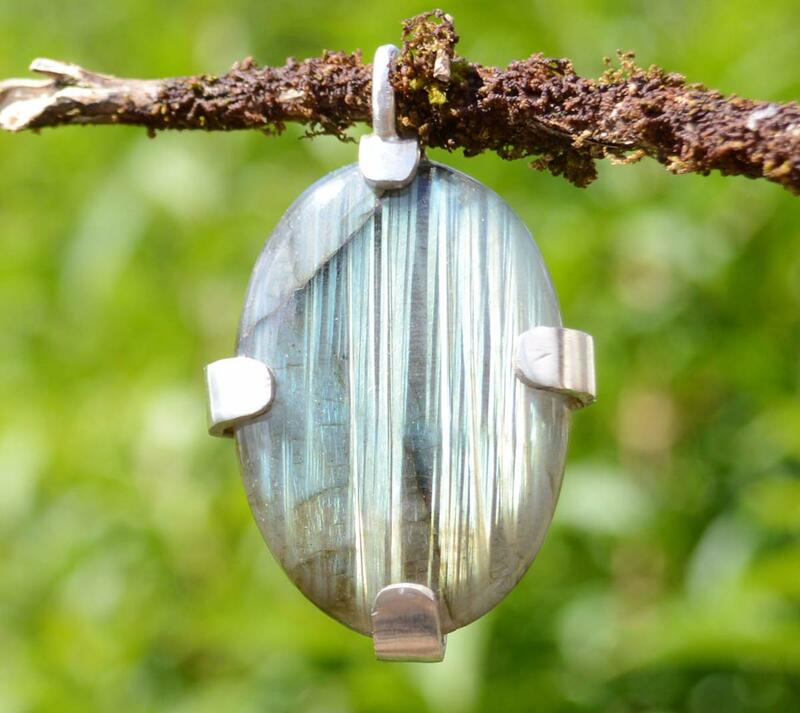 "The energy of labradorite facilitates the transformation of intuition into intellectual thought such that one can implement the instructions provided. 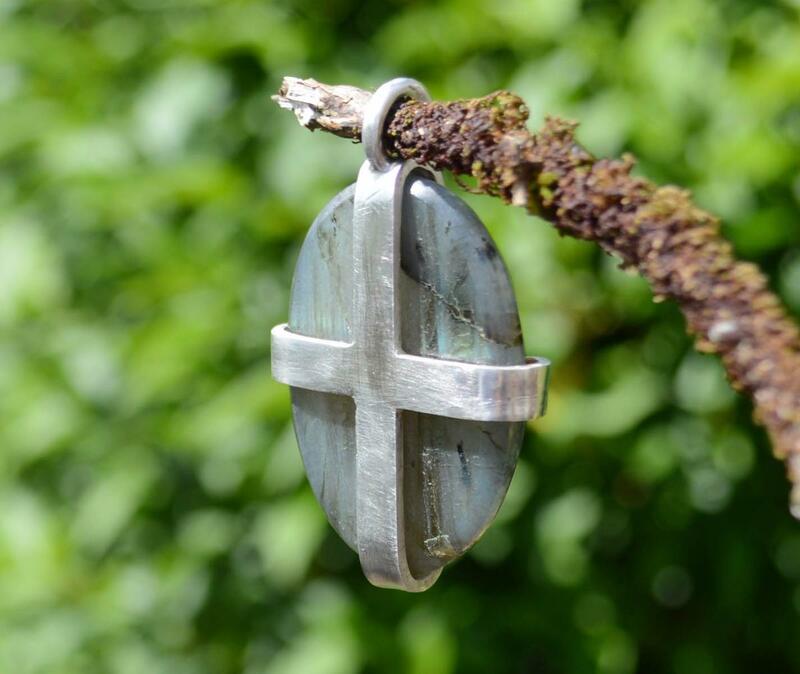 It assists one to traverse changes, attracting strength and perseverance." Melody, Love is in the Earth.